In this episode, Andy Addis shares the story of CrossPoint Church, and how it is reaching college students at community colleges and rural communities across Kansas. CrossPoint Church in Kansas began as a community church in one city, reaching 120 people weekly, to a multi-site church with 12 video venues reaching almost 4,000 across the entire state of Kansas. Across the communities where CrossPoint has a presence there are 50,000 college students – at small community colleges, private schools, and state universities. CrossPoint’s goal is to reach 10% of people in every community that they are in, and two campuses have already reached that mark. Collegiate ministry is relational, so you must staff for it. To reach college students, you must provide them opportunities to serve in your ministry. This allows new students to immediately feel like they belong. 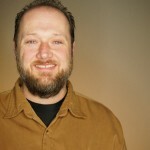 Andy is the pastor of a thriving Multi-site congregation based out of Hutchinson, Kansas (CrossPoint Church). In 12 years this church has grown from 120 to 3000 and added multiple locations throughout the state.